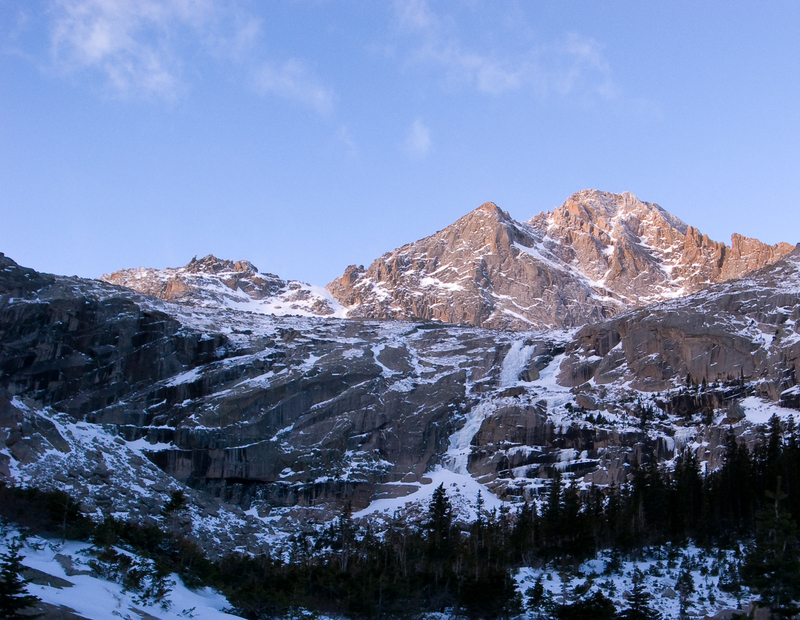 Conditions were great for this climb of the classic West Gully, which sits below McHenry's Peak in Rocky Mountain National Park. Three pitches (60 meter rope) took us to within a few feet of the top. The first pitch is relatively easy WI3. The second pitch is a bit more tricky WI4. 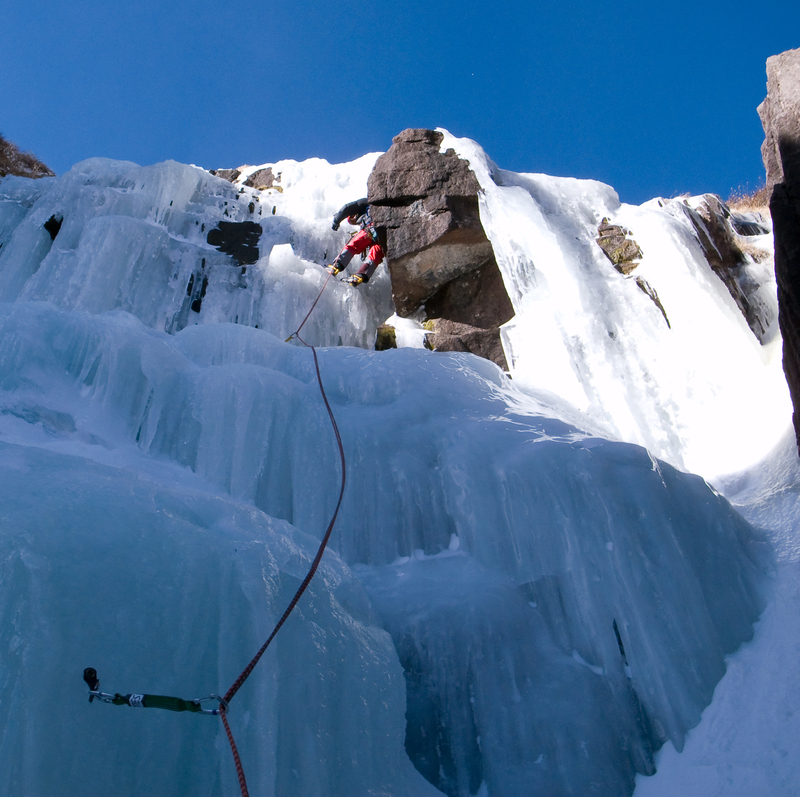 Above the 2nd pitch is a long relatively low-angle slab that is at a somewhat awkward angle. It's not really steep enough to keep you over your front points, but a bit too steep for French technique. We rapped from a V-thread near the top of the 3rd pitch, then walked off to the left (facing down) to a rappel from slings around big trees. A full length 60meter rappel got us to within 15 feet of the bottom, with some scrambling required to get to the flat area. A 70 meter rap would have taken us to flat ground.